I found A Taste of Monterey on a quick web search of Cannery Row. 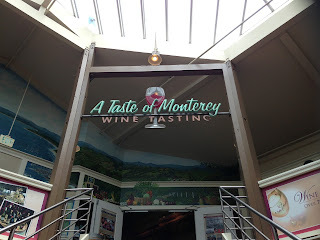 I saw that there were multiple tasting rooms near the aquarium and Matt and I wanted to try some wine from the region. A Taste was one of the first ones I saw and it was highly rated so I printed off a 2-for-1 tasting coupon and we decided to stop by. We were not prepared for how amazing it was going to be. Cannery Row is very touristy and so most of the other shops are pretty hokey. 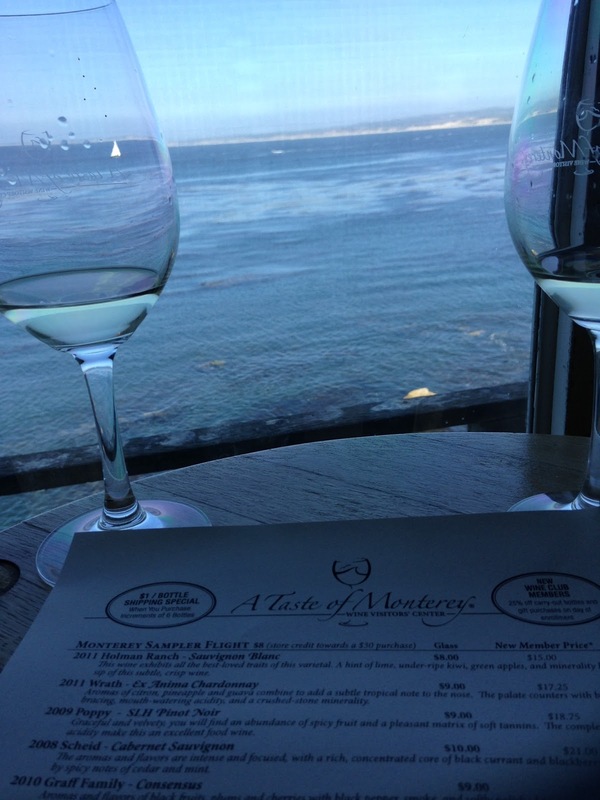 When I saw the sign point to Taste of Monterey in a plaza of cheap tourist shops I got a little nervous, but we headed up the stairs to a large open room with a beautiful view of the ocean. They had numerous rounded leather chairs and tables against the windows (above) and several booths. They also had a long table that was rented out for an event. The views were incredibly breathtaking: the pictures don't do it justice. The bartenders were friendly and welcoming to us and gave us lots of recommendations. We ended up doing their cheaper wine flight. 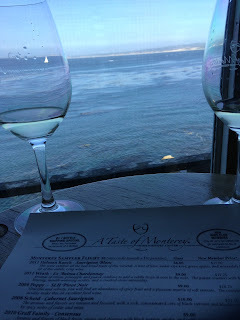 It was $8, but we got five wines! I think we stayed almost two hours just sipping on our samples and enjoying the beautiful view. Because of the coupon we only ended up paying $8 for the both of us. It's safe to say that that was my favorite part of the weekend (and the cheapest). 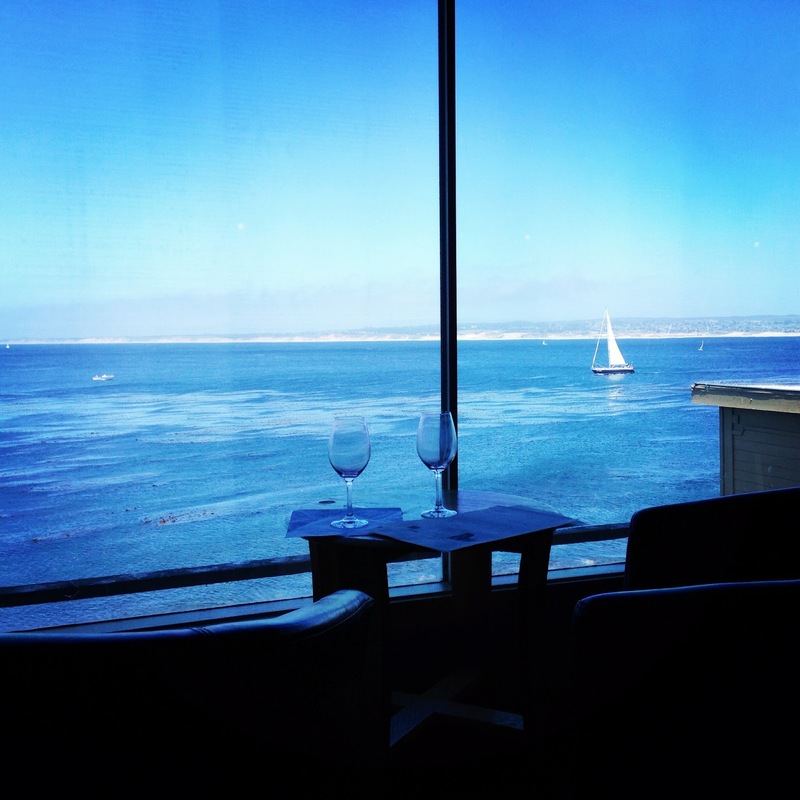 If you're headed to Monterey soon, I would definitely recommend stopping by. Tip: They also have food! We didn't order any, but it looked delicious. We were there mid-day so it wasn't busy, but I would call ahead if you are going to go around dinner time.